The Philips Cardio MD® is a compact system featuring a nuclear cardiology camera fixed at 90°. 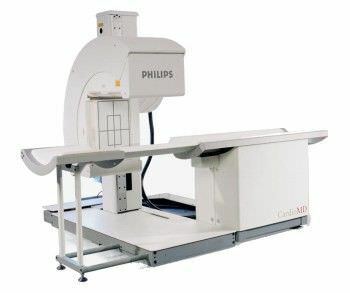 It is designed for efficient, quality imaging at outpatient clinics and private practice offices. The Cardio MD® allows supine and prone imaging and features an open design for patient comfort.